Prime Minister Narendra Modi has dedicated to the nation its first smart and green highway, the Eastern Peripheral Expressway at Baghpat in Uttar Pradesh. The 135-kilometer six-lane access-controlled expressway is eco-friendly and has world-class safety features. It envisages signal-free connectivity between Ghaziabad, Faridabad, Gautam Budh Nagar and Palwal. It has been built at a cost of 11,000 crore rupees. It is India's first highway to be lit by solar power besides provisions of rainwater harvesting. 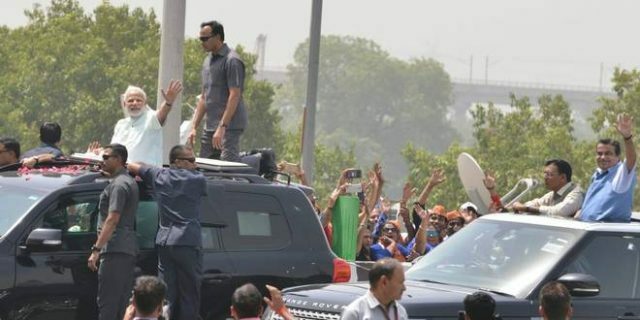 Earlier in the day, the PM inaugurated the first phase of the Delhi-Meerut Expressway. The first phase of the Delhi-Meerut Expressway cost Rs 842 crore on building the 9-km stretch of 14-lane highway. 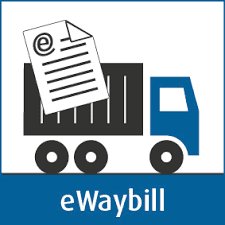 E-way bill introduced in 7 more states. Eway bill introduced in in seven more states and Union Territories these are Maharashtra, Manipur, Chandigarh, Andaman and Nicobar Islands, Dadra and Nagar Haveli, Daman and Diu and Lakshadweep. E-Way Bill system for intra-State movement of goods will be implemented in seven more states and Union Territories from 27th May 2018. The States are Maharashtra, Manipur, Chandigarh, Andaman and Nicobar Islands, Dadra and Nagar Haveli, Daman and Diu and Lakshadweep. Prime Minister Narendra Modi has launched a survey on the NaMo App, asking people to rate the performance of the government at the Centre and MPs and MLAs in their constituencies. He launched the initiative, to mark the completion of four years of the NDA government, which came to power at the Centre in 2014. The Union Human Resource Development (HRD) Minister Mr. Prakash Javadekar has launched the ‘Samagra Shiksha’ scheme for school education in New Delhi. The Scheme is a paradigm shift in the conceptual design of school education by treating ‘school’ holistically as a continuum from pre-school, primary, upper primary, secondary and senior secondary levels. Every school will get sports equipment under the Samagra Shiksha, for Primary (Rs. 5000), Upper Primary (Rs. 10,000) & for SSC & HSC schools (up to Rs. 25,000) to inculcate & emphasize the relevance of sports to realize the dream of “Khelega India Khilega India”. Kasturba Gandhi Balika Vidyalaya (KGBV) to be expanded from Class 6-8 to Class 6-12 with the allocation of Rs. 4385.60 crores (in 2018-19) & Rs. 4553.10 crores (in 2019-20). Prime Minister Narendra Modi laid the foundation stone for the 2400 MW the first phase of state-run power giant NTPC's Patratu Super Thermal Power Project in Jharkhand. The project is a 74: 26 joint venture between Government of Jharkhand (GoJ) and Patratu Vidyut Utpadan Nigam Ltd. This project will allocate 85 percent of the power to Jharkhand that will benefit the state in the long run and help in the economic growth of the region. Under the Pradhan Mantri Sahaj Bijli Har Ghar Yojana (Saubhagya) scheme, this project will ensure providing 24x7 power availability to households. Prime Minister Narendra Modi and Bangladesh Prime Minister Sheikh Hasina jointly inaugurate Bangladesh Bhawan at Shanti Niketan in West Bengal. The two leaders then paid floral tributes to Rabindra Nath Tagore. This is the first time in Indian history, that two prime ministers attended a convocation ceremony. The Caribbean island of Barbados has elected Mia Mottley as its first female Prime Minister since gaining independence from the UK in 1966. Mottley's Barbados Labour Party won all 30 seats in the country's Parliament, coming to power for the first time in a decade. Prime Minister Narendra Modi and Netherlands Prime Minister Mark Rutte, who is in India at PM Modi's invitation held wide-ranging discussions on bilateral and international issues at the Hyderabad House. The Netherlands has become the 64th signatory member of the International Solar Alliance. PM Modi noted that the first Indo-Dutch Centre of Excellence CoE in Vegetables had started in Baramati, Maharashtra. India also welcomed the Netherlands as the Partner Country for the TechSummit in 2019. Human Resource Development Minister Prakash Javadekar launched 'Samagra Shiksha scheme' for school education. An annual grant of 5,000 to 20,000 rupees will be provided for strengthening libraries in schools. The scheme will be focused on digital education. Samagra Shiksha is a program that unifies learning from the pre-school to class 12 levels and encapsulates elements of the Sarva Shiksha Abhiyan, Rashtriya Madhyamik Shiksha Abhiyan and teacher education. The union govt. has appointed non-executive chairpersons at Punjab and Sindh Bank (Charan Singh), Dena Bank (Anjali Bansal) and Central Bank of India (Tapan Ray). Charan Singh has served at IMF as senior economist and at Reserve Bank of India as director. Anjali Bansal is the founder of Spencer Stuart's India and had worked with McKinsey and Company. 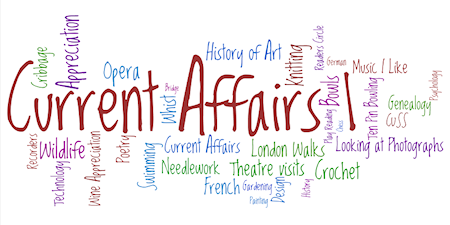 Tapan Ray has served as Secretary in the Ministry of Corporate Affairs. BJP leaders Ganeshi Lal and Kummanam Rajasekharan were appointed as Governors of Odisha and Mizoram, respectively. According to a Rashtrapati Bhavan communique, Prof. Ganeshi Lal will take over as the new governor of Odisha. He has replaced S C Jamir. Bihar Governor Satya Pal Malik had been given additional charge of Odisha. The President appointed Kerala BJP chief Kummanam Rajasekharan as the Governor of Mizoram. He will be replacing Lt. General (Retd.) Nirbhay Sharma. Airtel Payments Bank has appointed Anubrata Biswas as its Managing Director and Chief Executive Officer. Biswas fills the position, which was lying vacant since end-December, after Shashi Arora quit the post. Prior to joining Airtel Payments Bank, he was the Joint General Manager and Retail Business Head - South India for ICICI Bank. A new video campaign has been launched targeting football fans on the occasion of the World Cup 2018 to promote healthier and more active lives. The series of videos have been produced jointly by World Health Organization (WHO), Russia’s Ministry of Health and the 2018 World Cup Russia Local Organising Committee. A first-of-its-kind study across all 640 districts of the country, highlights the impact of women’s health on stunting of children. 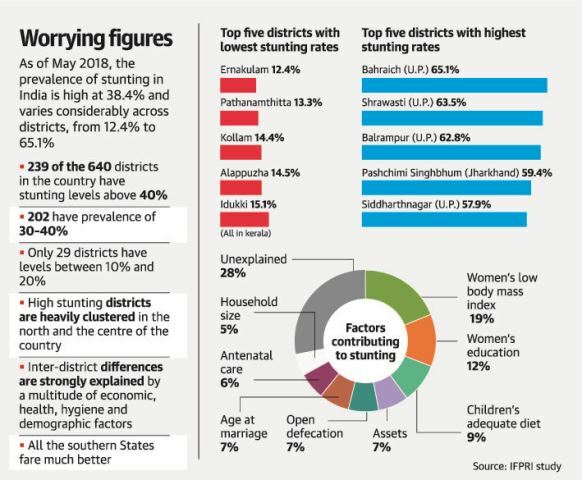 According to the International Food Policy Research Institute (IFPRI) study, analysing data from the National Family Health Survey (NHFS)- IV, parameters related to women, including education and age at marriage, account for 50% of the difference between districts with high and low levels of stunting among children below the age of five. Across the country, in 239 districts more than 40% of the children are stunted, while 202 districts record between 30% and 40 % of stunting. Only 29 districts have levels between 10% and 20%, most of them in South India, the study reports. India accounts for approximately a third of the world’s stunted children at 63 million. While levels have improved in the country from 48% in 2006 to 38.4% in 2016, there are wide variations among different districts ranging between 12.4% and 65.1%. The populous northern States account for more than 80% of stunted children at 52.6 million. In comparison, all of the Southern States together have 8.1 million stunted children and the north-eastern and island States account for nearly 2.4 million. Within the States, however, the levels vary with regions in Andhra Pradesh and Karnataka recording high prevalence. The research highlights the need for targeted policy intervention to combat stunting, with a focus on addressing critical determinants in individual districts. Women related parameters are great drivers and these have to be focussed upon. This will involve interventions through the course of a girl’s life such as her education, nutrition, marriage as well as when she is a mother. The four crucial parameters in women that together contribute to a 44% reduction in stunting among children are levels of body mass index accounting for 19% of the difference between districts; education accounting for 12% of the difference; age at marriage contributing a 7% reduction and ante-natal care adding 6%. Among other important factors highlighted by the study are adequate diet for children (9%), household assets (7%) and open defecation (7%).